Hey, folks! I can't remember the last time we did a 2-for, so we're going to do one tonight! 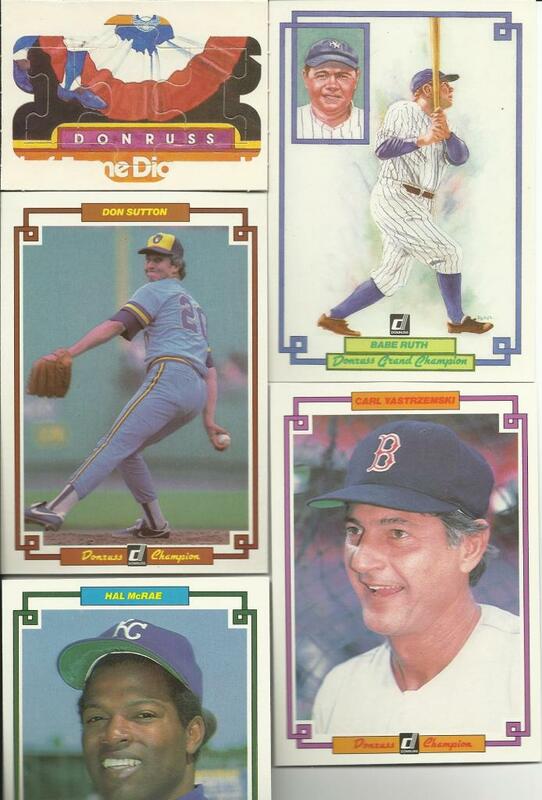 First up, a pack of the 1984 Donruss Baseball Champions. Puzzle and 5 cards. Very nicely done! Man, how do you argue with the guys in this pack? Can you imagine pulling these back in '84!? Wait. Many of you probably can't. Haha! 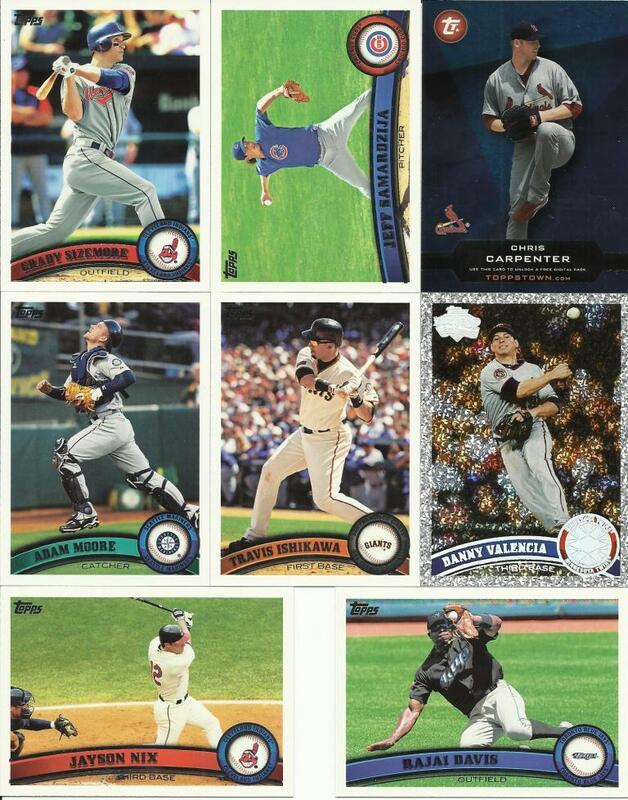 Next up, 2011 Topps Series Two. 12 cards per pack. Okay, we snagged a handful of manager-owned cards out of the pack, and left more than that ready fr the taking! That Diamond Anniversary card is SWEET! The Toppstown card is foil. Were all the TT cards foil in 2011? The card number starts with TT2, so it made me wonder - though admittedly not enough to Google it for myself. Ha! It's TT2 for Series 2, I believe, to distinguish them from Series 1. Something like that. Isn't that Yaz a triple for BConrad now? Can you please give me his email so I can ask him to share one. ?